February | 2014 | MND GMZ MINISTRIES: Reclaiming the Rules, Finding Identity in Christ. I don’t know about you but God often speaks to me through music. I believe it is one of the easiest ways for Him to reach the deepest parts of my heart. I tend to be very “left brained” – analytical, logical, and rational. God created that part of me, but He needs to move and speak through my right brain – where imagination, creativity, and emotion reside. Music does that. Perhaps that is why I am a certifiable concert junkie. If you continue to read, you will hear about many lessons learned through concerts. This past weekend was no different. I was tired from a busy week at work and from speaking at a retreat the previous night. I was up early to attend a meeting that had lasted into the afternoon. A large part of my wanted to stay at home and fall asleep on the couch. Especially since I didn’t have a ticket or anyone to go with me. But something (my money is on the Holy Spirit) said to go. I’m a pretty confident person and I’m used to going places alone, but there was something about walking into that auditorium alone I was dreading. So as I hurried through the parking lot towards the building, I asked God to provide someone to sit with. I had no doubt I was going to know many people at the concert – the challenge was going to be locating them! I approached the ticket booth, wondering if there were even any tickets still available. Upon inquiring, the lady looked up and said, “Yes, we just had someone turn in a free ticket. Here. Enjoy the show.” Huh, well, that was unexpected. I scanned the packed bleachers. I walked in front of them a few times wondering where in the world I should even attempt to find a seat in the sea of humanity before me. And just as panic begin to set in, I spotted a family from church and I took a chance. “May I sit with you guys?” And prayer number two was answered with a warm, “Of course!” I’d been doubly blessed before the concert even began. If you are honest with God about the things that concern you and then step out in faith, He’ll resolve those concerns. Often He’ll provide in unexpected ways, and He’ll provide more than you even expected. And that is when God’s blessing and love poured out through the lyrics and spoke to me in a way I could have never expected – deep, real, and healing. Tears began to fall. I was a prisoner to sin. I try to fight it on my own. Jesus has already won the battle and therefore, God calls me His child. When I am able to believe that I really am God’s daughter, it moves me to behave like it. I no longer do good things as a way of trying to earn love. No. I know I am loved and therefore do good things. True loves moves me to action. Knowing I am God’s daughter allows me to act like it! Any good thing I do is for His glory and to hear my Heavenly Father say, “Well done!” Everything else pales in comparison and ultimately fades away. And no matter how many times I fail, God’s love doesn’t. He continues to pursue me no matter how many times I reject him. He continues to love me no matter how my times I curse Him. He continues to trust me to do His work, no matter how many times I fail Him. And when life seems to hard to handle, God promises to be with me always. He won’t let me go. And He’ll even carry me if that’s what it takes. In the meantime, when have you experienced God’s provision, His Spirit, and His grace in a powerful and transforming way? Do you remember falling in love for the first time? Do you remember the excitement? The butterflies in your stomach? The anticipation of seeing or hearing from that special person? Do you remember the way your thoughts became consumed with that person? Do you recall spending time thinking about and preparing for special events like birthdays and Christmas by searching for the perfect gift or planning a surprise date night out together? Maybe you haven’t experienced a first love yet. Maybe you are experiencing it right now. Maybe you remember how much it hurt when that first love ended. Maybe instead of a romantic love you can relate those emotions to when you first met your best friend or fell in love with a passion God has given you. Perhaps you fell in love with art or creating beautiful music. Perhaps you come alive when you study science and God’s creation. Regardless of your current experience of a “first love,” one thing seems to be almost certain, we all tend to abandon our first love at some point. The butterflies fade, our thoughts drift back to the activities of each day and we think less often of that special person, and our actions become less and less intentional. We abandon our first love. Going out of our way to bless a friend becomes an inconvenience. Creating art or practicing an instrument becomes a chore. Finding that perfect gift or card that says, “I love you” becomes a drag. And all the things we once found adorable and endearing now begin to drive us nuts. We abandon our first loves. And here Jesus tells his church that they have abandoned their first love, they have abandoned him. Do you remember the moment you fell in love with Jesus? Do you remember the tears that flowed down your face? Do you remember the excitement of your first Bible? Do you remember making promises of having quiet time with Jesus every day? Remember wanting to tell everyone you knew or met about Jesus and what His love had done in your life? And if you’re like me, after two or three weeks, the Bible passages grew shorter and you began falling asleep during prayer time before bed. If you’re like me, your conversations with others quickly drifted away from Jesus and back to where the best sales were, what happened on Pretty Little Liars last week and the latest gossip. And if you’re like me, soon you’ve abandoned your first love. There’s good news though. Jesus hasn’t abandoned you! You are still His first love. 1 John 4:19 says, “We love because He first loved us.” Thank God that my relationship with Him is not based on my commitment to and love for Him but His love for and commitment to me. He still gets butterflies whenever I choose to spend time with Him. No matter how long it has been, He still hangs on every word with anticipation and longing to hear more. No matter how little I’ve thought of Him throughout the day, His thoughts remain consumed with me. No matter how little I make time for Him, He always has time for me. And He always knows exactly what gifts to give, what needs to meet, and what words to say, even when I withhold the only gift He longs for – my heart. And when I stop and think of what Jesus’ love for me cost Him – truly stop and consider – a funny thing begins to happen. The butterflies come back! My thoughts become consumed with thanks and praise for the King of Kings who died to make me His daughter and to save me from the death I deserved. And suddenly spending time with Him is all I ever want to do. 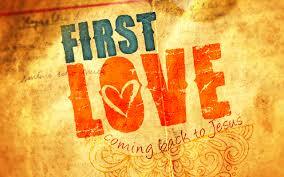 May we all fall harder and more deeply in love with our first love, Jesus. 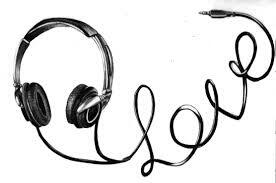 Perhaps you’ve noticed my love for music. Music speaks deeply to me and this past weekend I attended a concert where God showed up and made His love so clear. More on that later this week, but here’s a little preview. I grew up in the Midwest, but I moved to California to attend graduate school. I have to admit that it was quite a culture shock to go from cornfields to concrete, from rolling hills to mountains and beaches, from blue skies to smog, and from 2 lane country roads to 12 lane highways – with traffic stopped in both directions! But there was another more subtle difference, one that I didn’t pick up on right away. Students begin to compete for practicum placements in the second year of my graduate program. During these interviews, I noticed how bold many of the students were in answering questions. They had no hesitation in proclaiming their many accomplishments. It seemed brash at best and arrogant at worst. I was more subtle in my answers and often downplayed my accomplishments. This was what I was taught to do. I’d walk away believing I had interviewed well but would rarely get the placement. Thankfully, one of my professors, who was also a transplant from the Midwest, took note. She pulled me aside and explained that I was experiencing a major cultural difference. In the Midwest, humility is highly valued and appearing proud is avoided at all costs. She explained that this is not so on the West Coast. What I was interpreting as brash, was really students advocating for themselves. She challenged me to step out of my comfort zone and to do the same. It seems like when it comes to accepting our identity in Christ, it can feel a little like bragging or boasting. It can feel selfish and prideful to even begin to think of ourselves as anything but horribly sinful people. It’s so easy to forget that God created us and called us very good. Therefore, if you do not love and accept yourself, you are actually in disagreement with God because He loves and accepts you! It is so important to accept God’s love and in doing so learn to love yourself, not in a selfish way but in a way that simply affirms God’s creation (you) as good and right and beautiful. Just like my interviewers couldn’t know about my real talents and abilities until I told them, a hurting world can’t know of God’s love until you tell them through the way you love others. And you cannot give away love that you haven’t truly accepted for yourself. See, our confidence does not come from our own abilities or achievements. No, our confidence comes from our identity in Christ and what God does through us by the power of the Holy Spirit. And one last thought… anytime we don’t shine as brightly as God intended us to, we are robbing Him of glory due Him. Any shine we have is simply a reflection of His glory. So let’s learn to shine brightly and boast, not about our own abilities, but about God’s grace and goodness. Let’s accept how much God loves each and everyone of us and confident share that love with others!